The best gift you can give your loved one this Valentine's Day is something home-made and delicious. It shows you really care, and spent time picking out just the right recipe and making it exactly the way they like it. It may sound like a daunting task, but we have lots of super easy recipes that look completely adorable and will melt your lover's heart. I've picked out 7 simple recipes that are fun to make -- and will make you the most thoughtful Valentine this year. 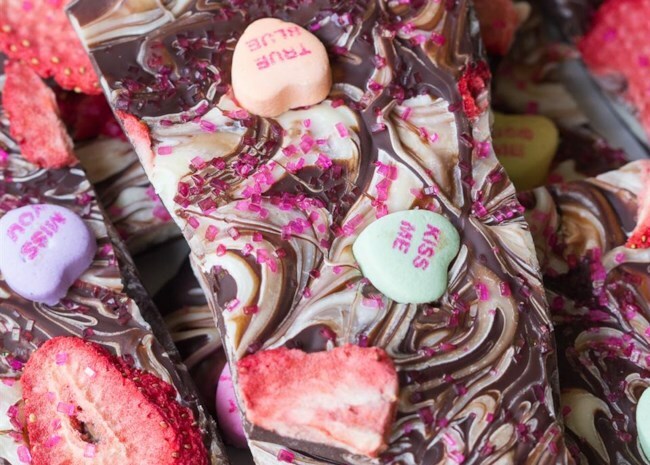 Chocolate bark is not just for Christmas, it also makes a sweet Valentine's Day gift. Simply melt some chocolate and swirl it together to create a pretty patterned bark. Scatter some love-heart candies, dried strawberries and sprinkles on top, and you've a gift that's cuter than anything you'll buy at a store. "Decadent," "easy," "to die for," and "a hit with the ladies," are just some of the comments on these cookies. If you've a chocoholic in your life, you need to make these cookies for them. If your darling one adores strawberry cheesecake, but you don't have time to make one, these stuffed strawberries will do the trick. They're a cinch to make, and look fancy and luscious. 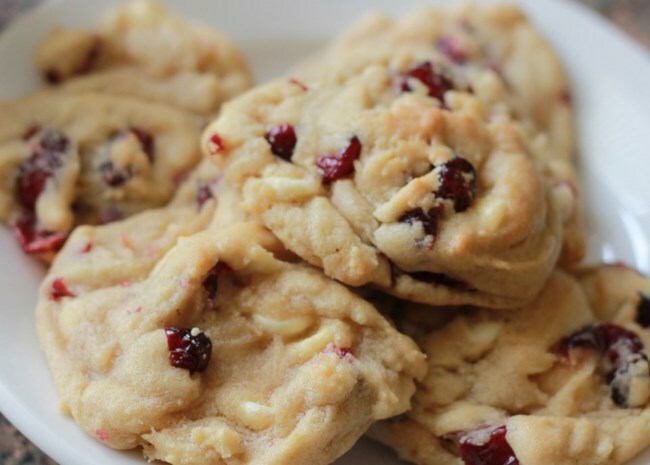 If your sweetie loves to keep things simple, you can't go wrong with these classic cranberry and white chocolate cookies. 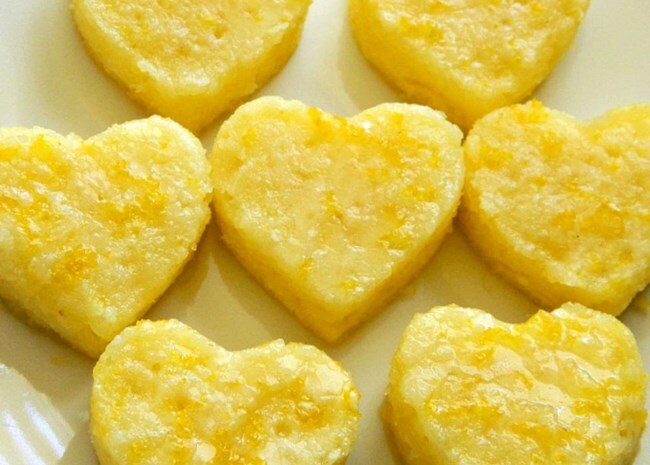 Lemon brownies are something just a little different, and the perfect treat for the lemon-lover in your life. Just cut out the brownies with a heart-shaped cookie cutter for a lovely presentation. 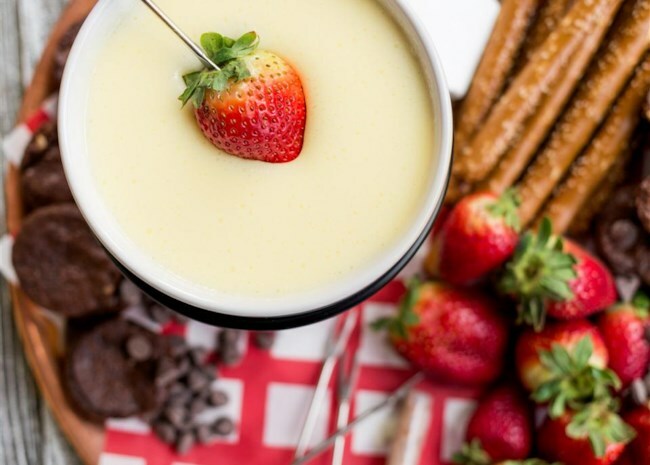 Treat your Valentine to a whole bowl of melted, creamy chocolate with lots of dipping fruits and pretzels. It's a great way to enjoy dessert together. If you're sweetheart is nuts about nuts, they'll love these sweet and nutty truffles. Present them in a pretty bag/box and you'll win their heart. Get our entire collection of Valentine's Day desserts. Get recipe ideas for a Galentine's Day Party Leslie Knope would love. How to make the best chocolate covered strawberries. Explore our complete collection of Valentine's Day Recipes.